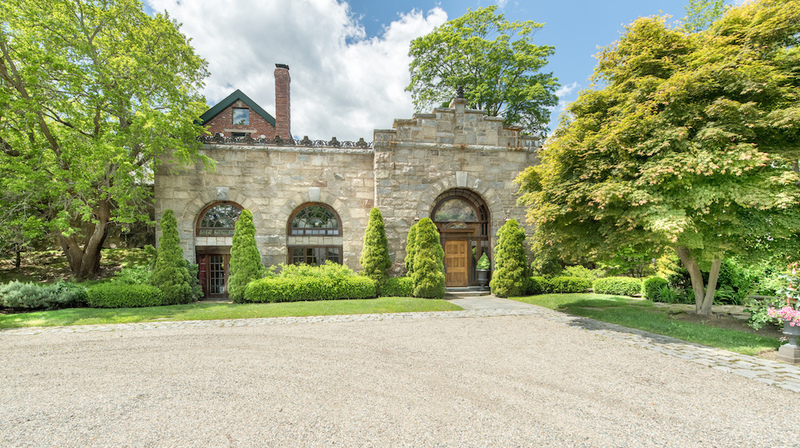 Built in the early 1900’s in the Prides Crossing area of Beverly, MA, this stone house was once part of the former summer estate, “Eagle Rock” of Henry Clay Frick. 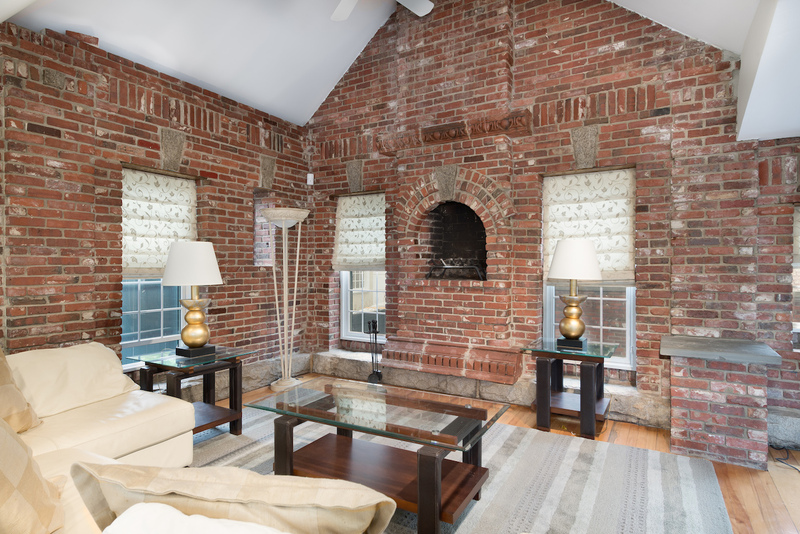 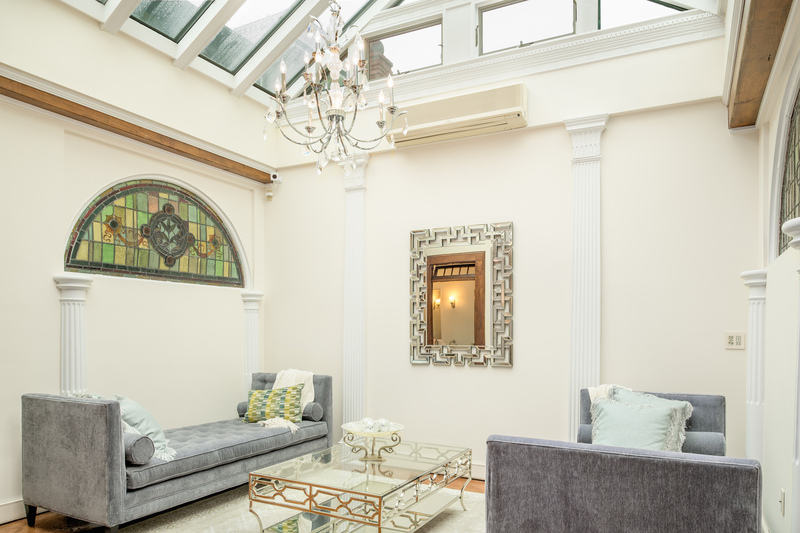 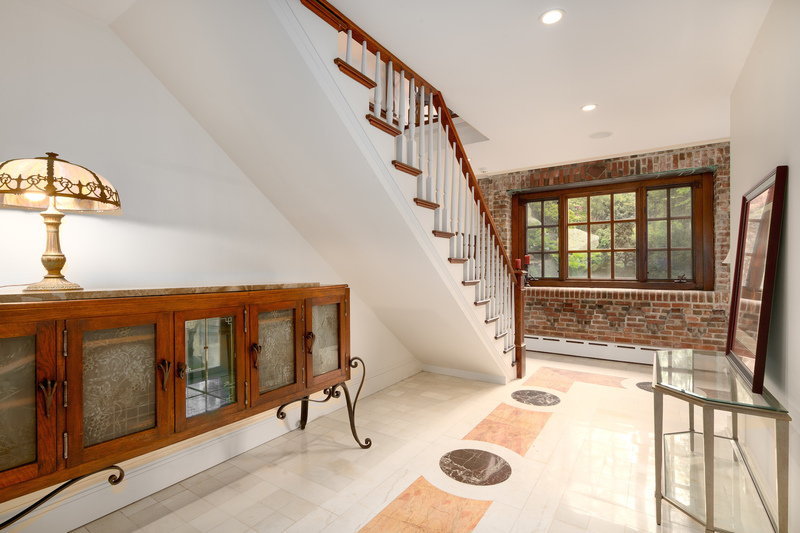 The building has since been skillfully converted into a spectacular single family home. 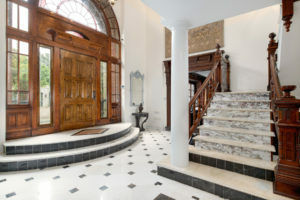 The design throughout is impressive, intriguing, unique and includes a fine curation of period and contemporary materials. 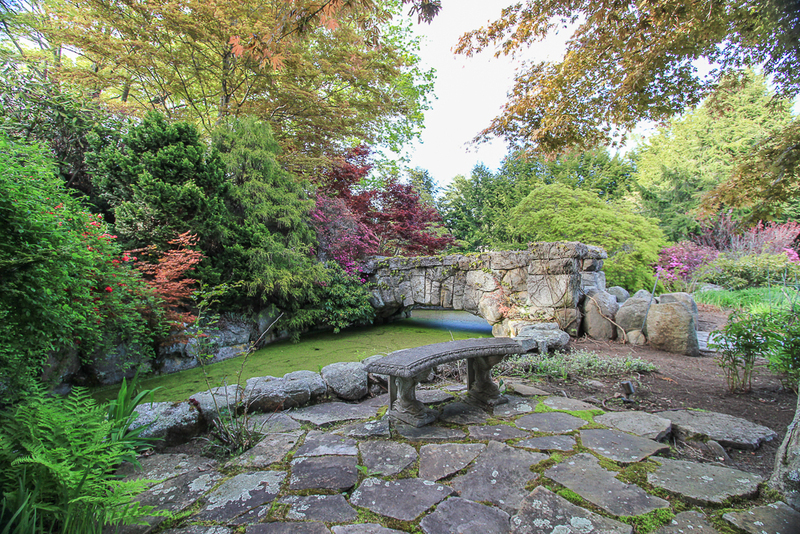 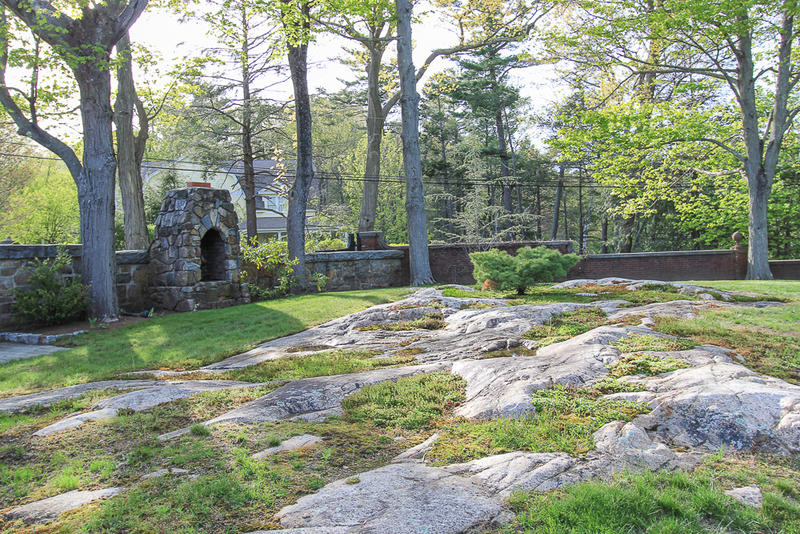 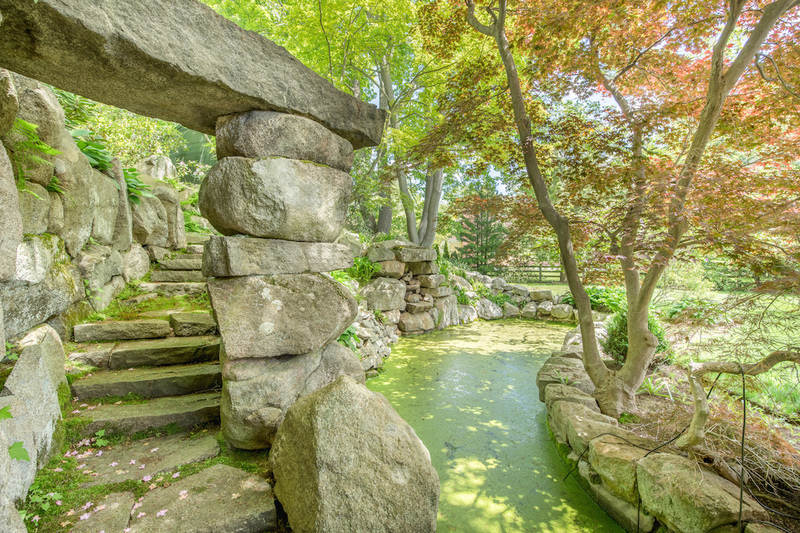 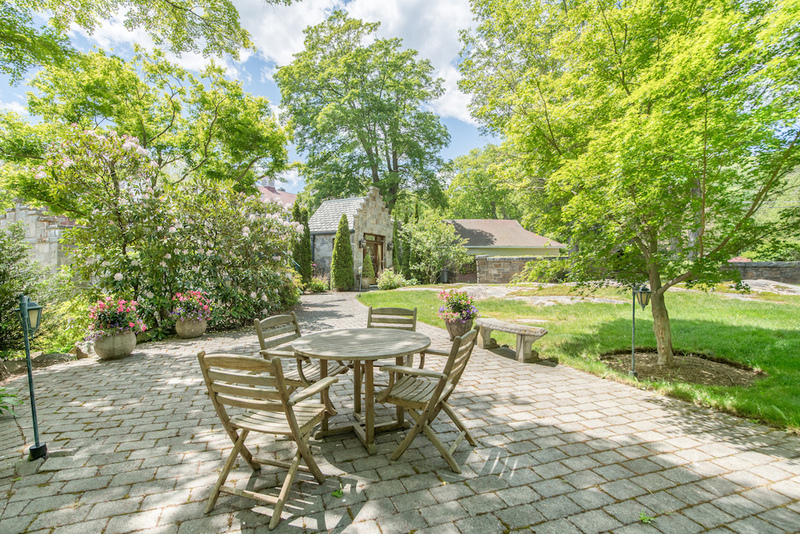 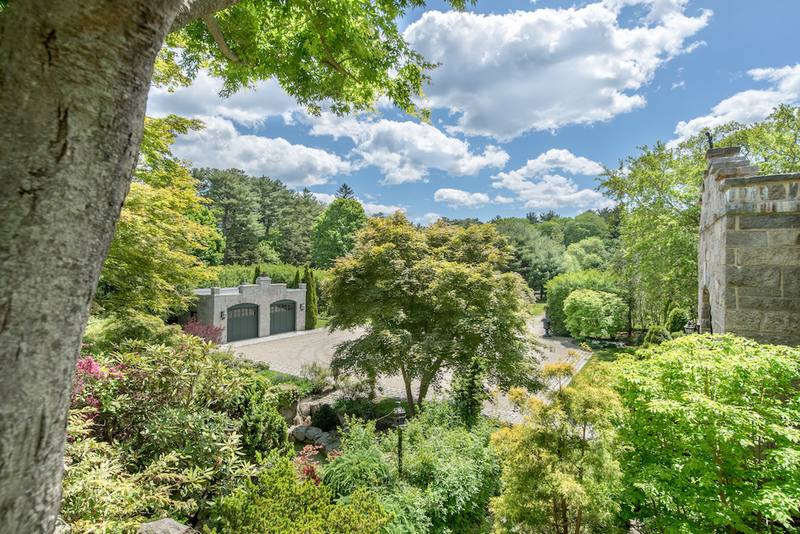 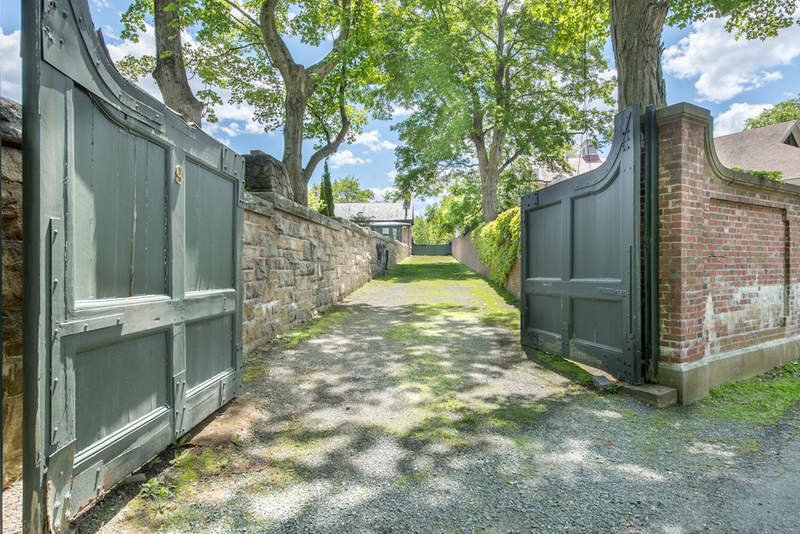 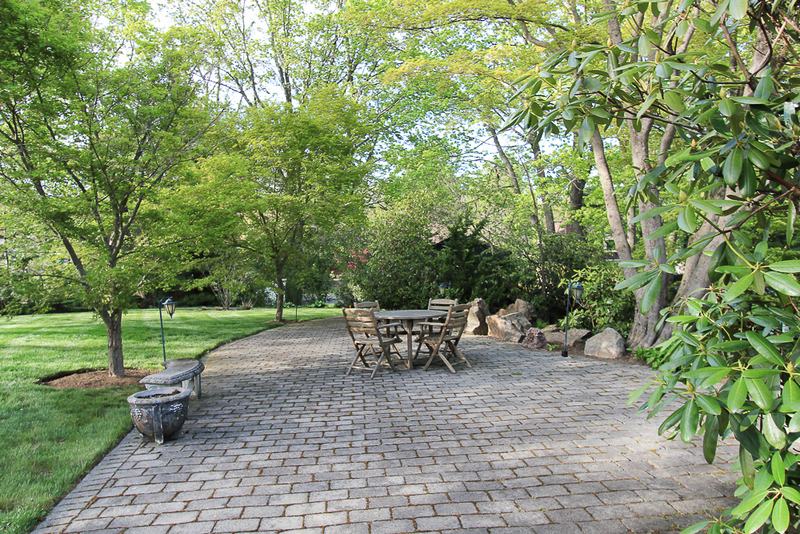 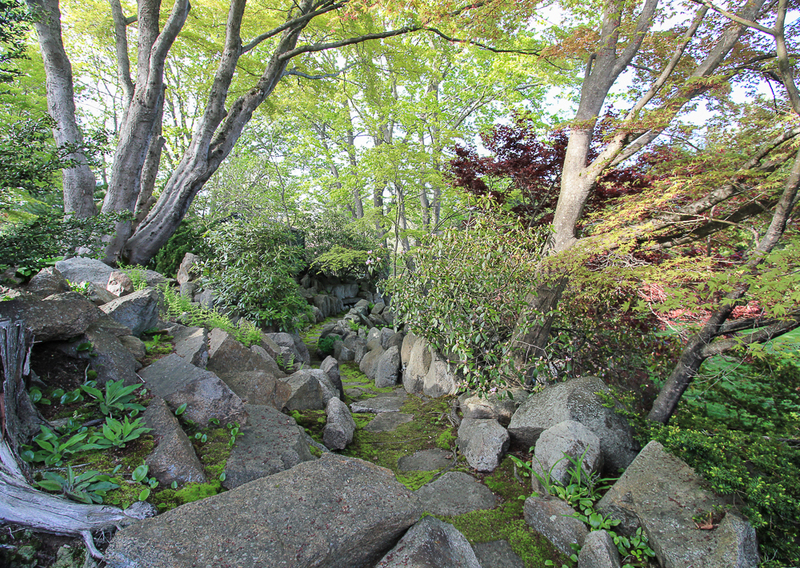 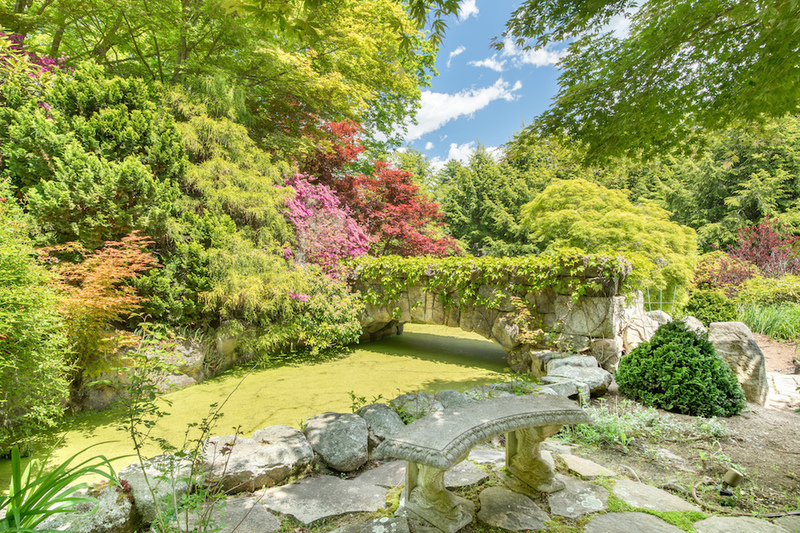 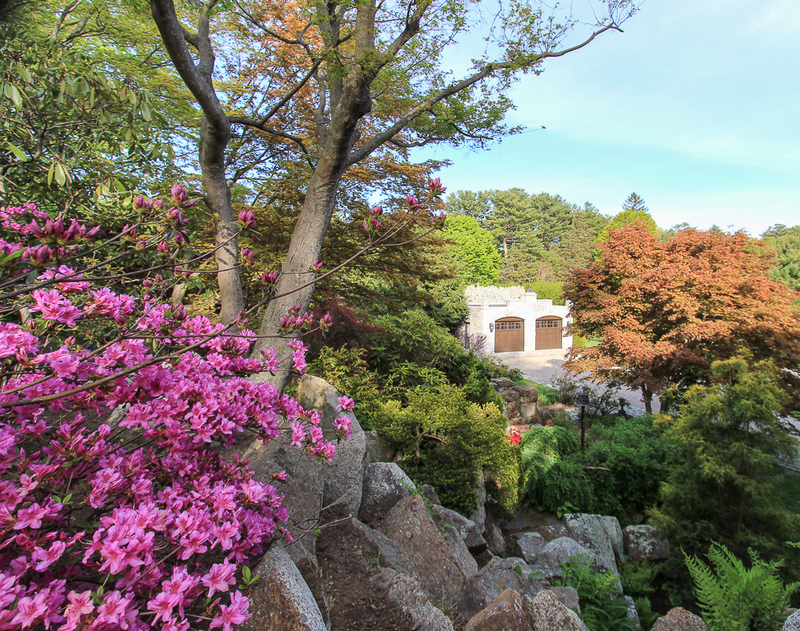 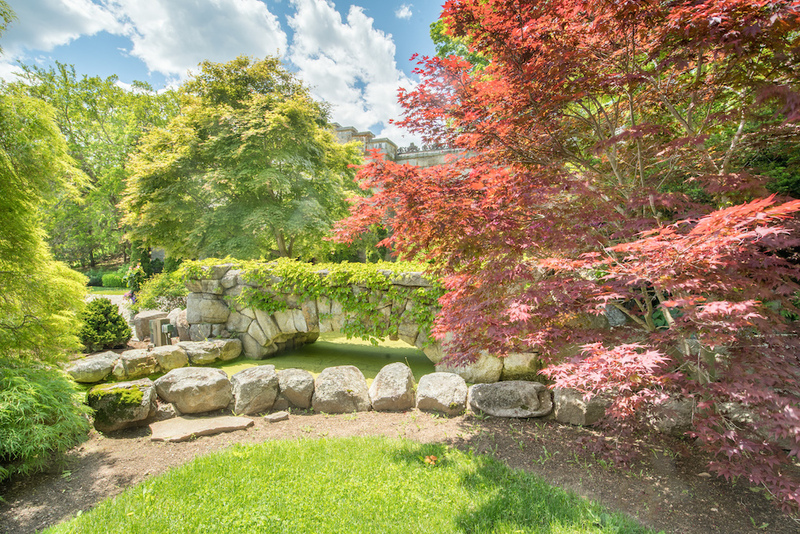 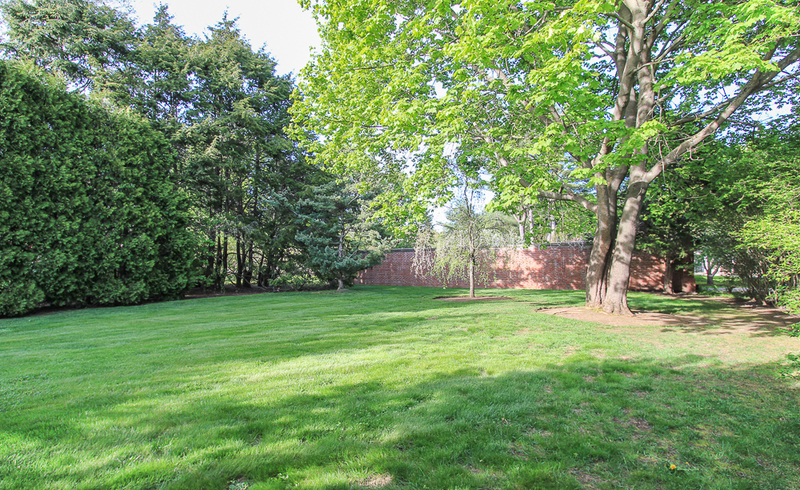 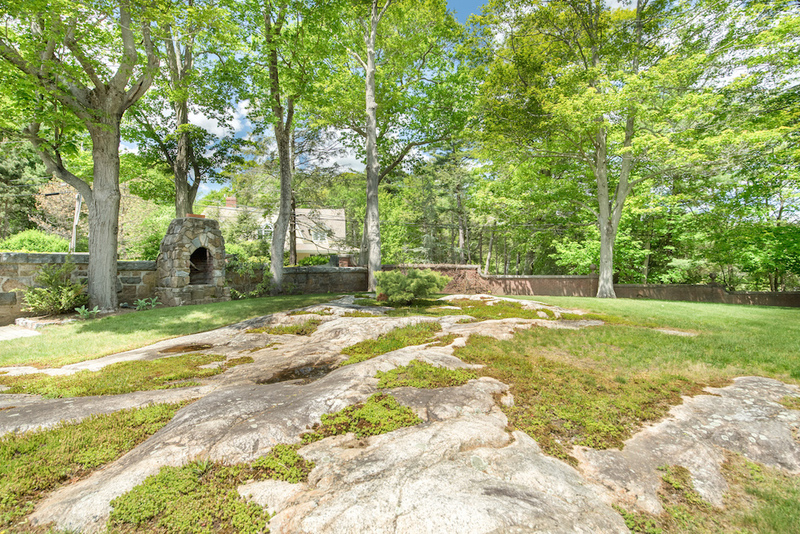 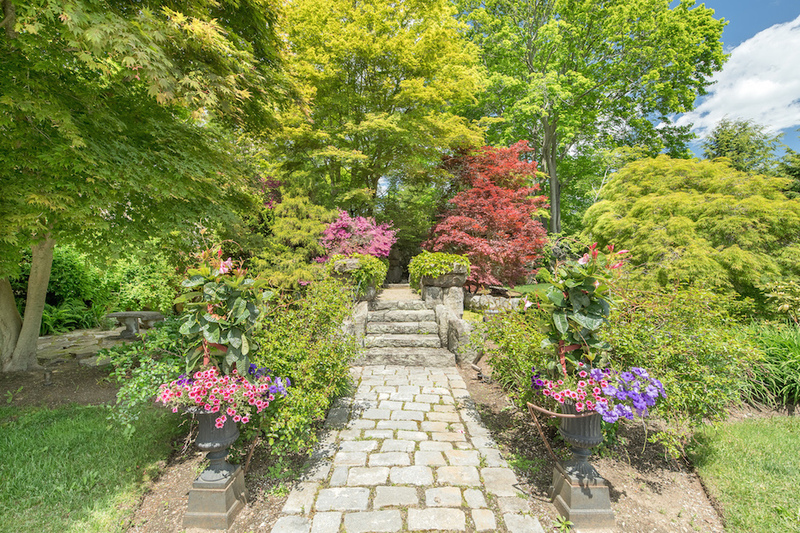 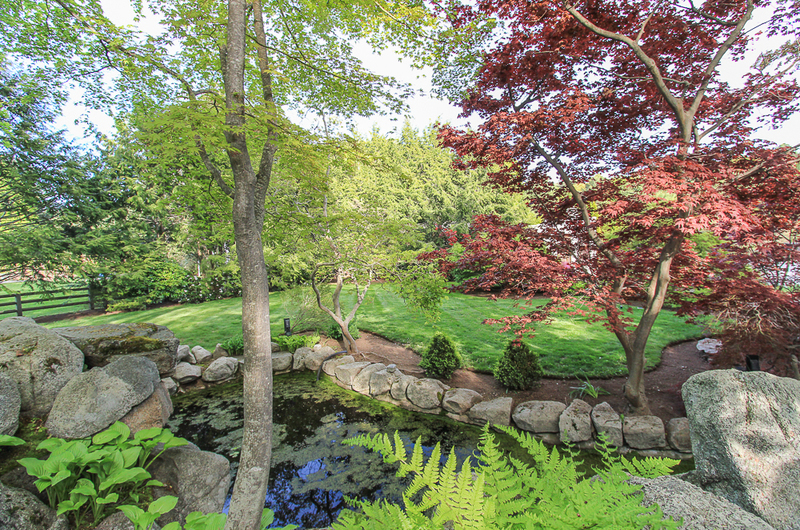 The grand, pillared entrance off of Hale Street leads you onto the grounds into a central stone courtyard edged in granite and surrounded by the well- kept gardens, that pay close attention to the original Olmsted designed plantings and stone footbridge over a tranquil waterfall and fish pond. 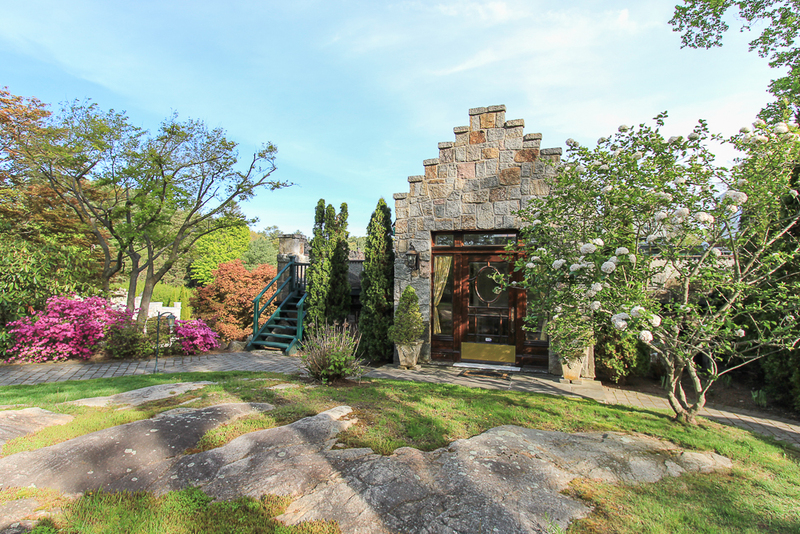 The house is set into the hillside and gardens with beautiful paths to the upper level grounds, stone patio with outdoor fireplace and more gardens. 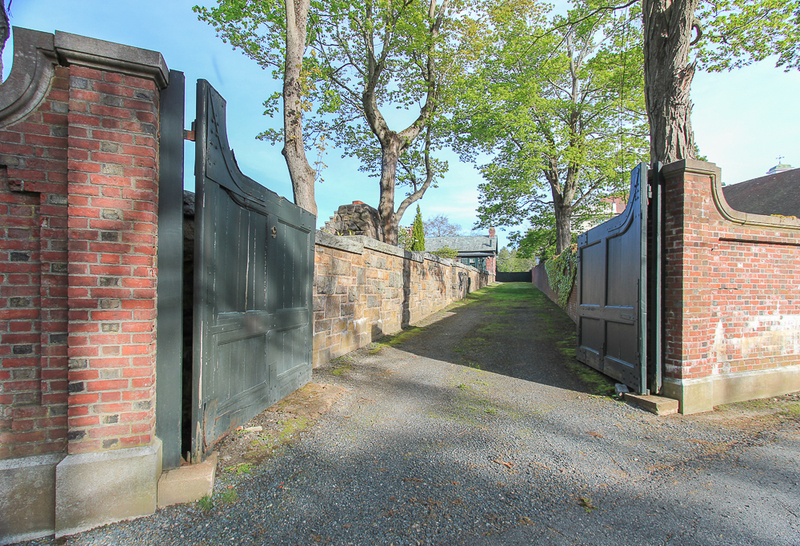 Here you will find the gated, rear entrance from Thissell Street and a charming, but less formal entrance leading to an inviting foyer and the main kitchen. 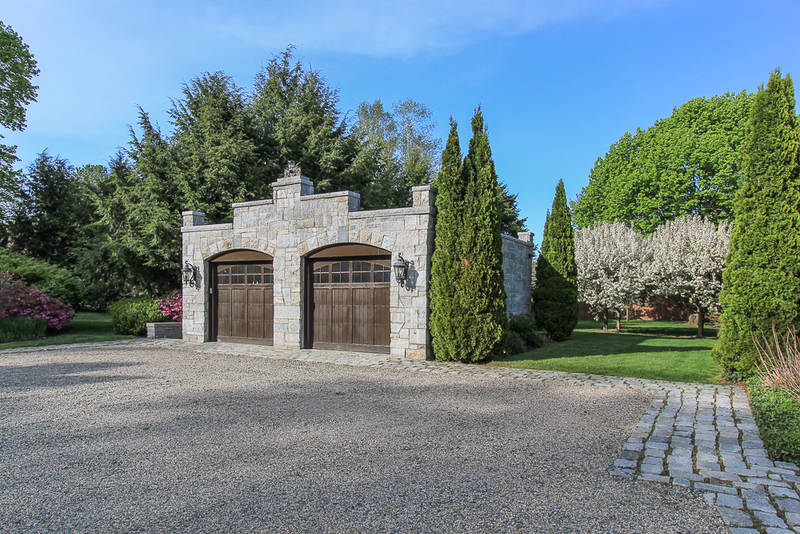 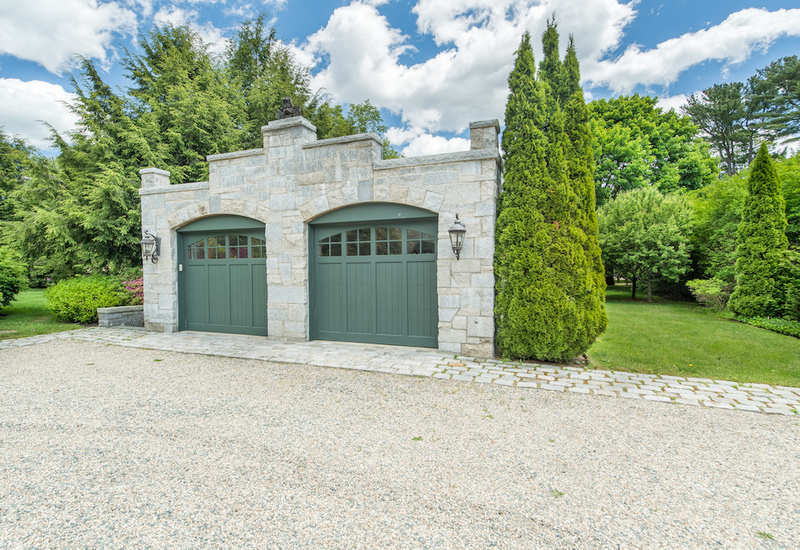 The stone, two-car garage at the front entrance was recently built, in keeping with the exterior classic design of the home. 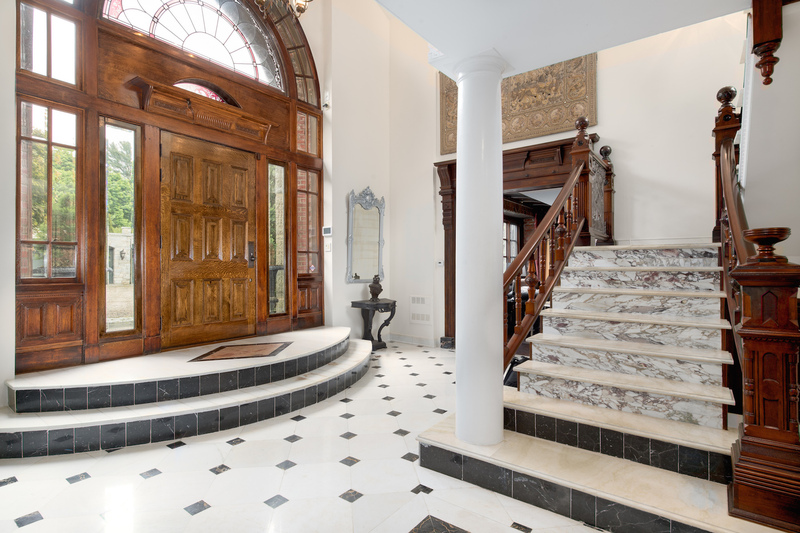 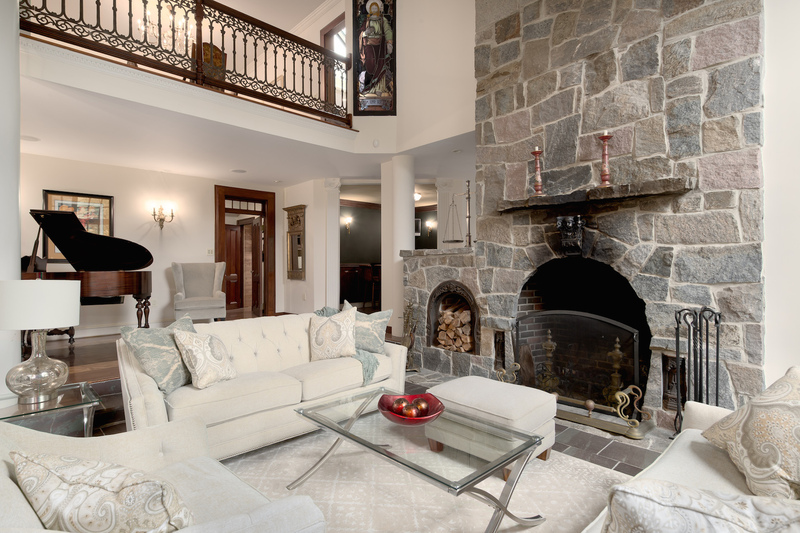 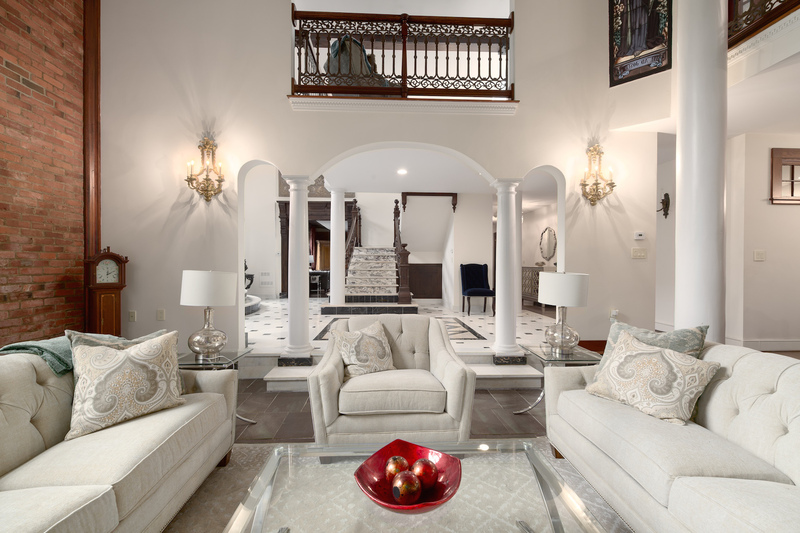 The estate’s spectacular main entrance opens to a breathtaking, two-story central foyer, with marble floors, grand stairway and second floor rooms with beautiful, period wrought-iron railings open to the foyer. 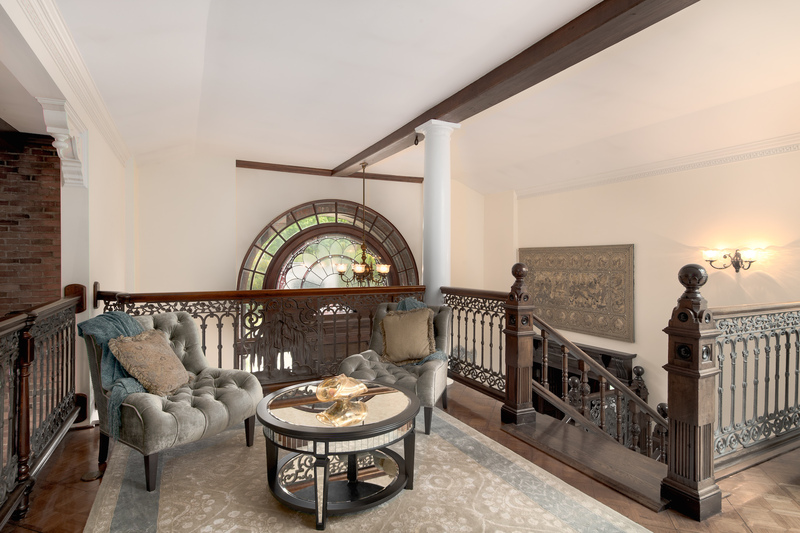 The inviting library has a fireplace and majestic, wood entry doors, bookcases and wall paneling, all which once graced the Cambridge County Courthouse. 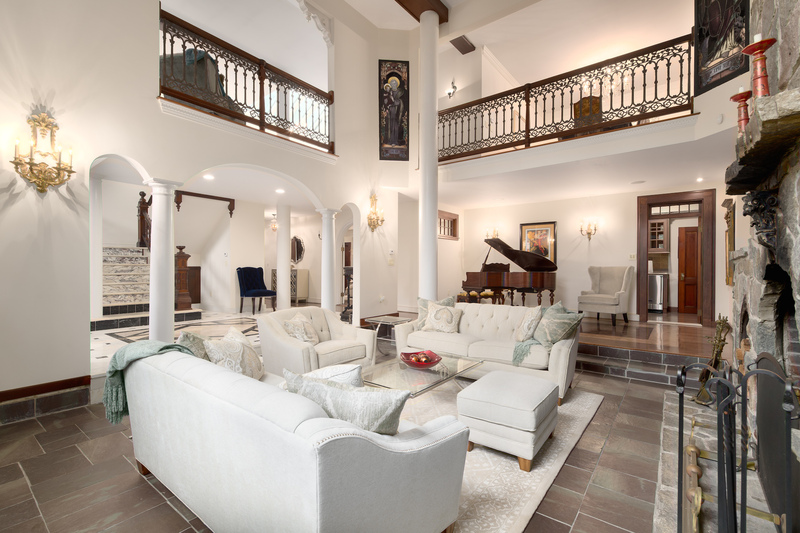 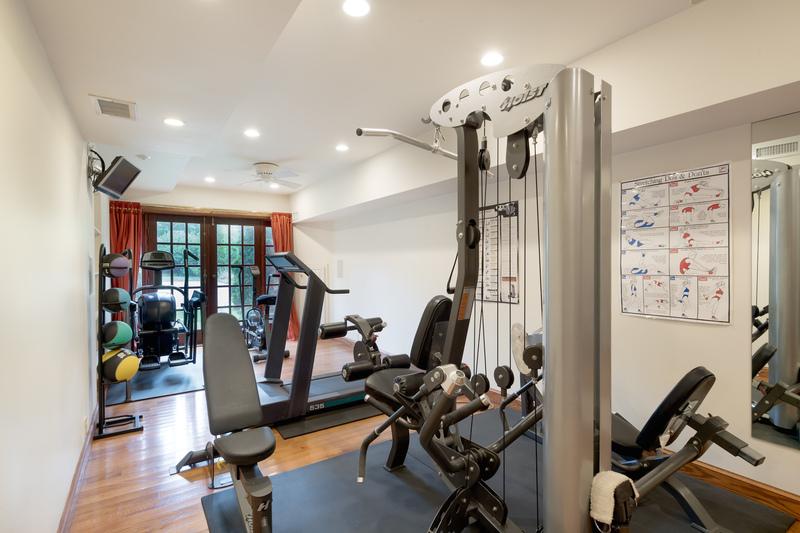 There are rooms to suit just about every activity including, intimate seating areas in the library, second floor landing, atrium, music area and expansive two story great room with fireplace. 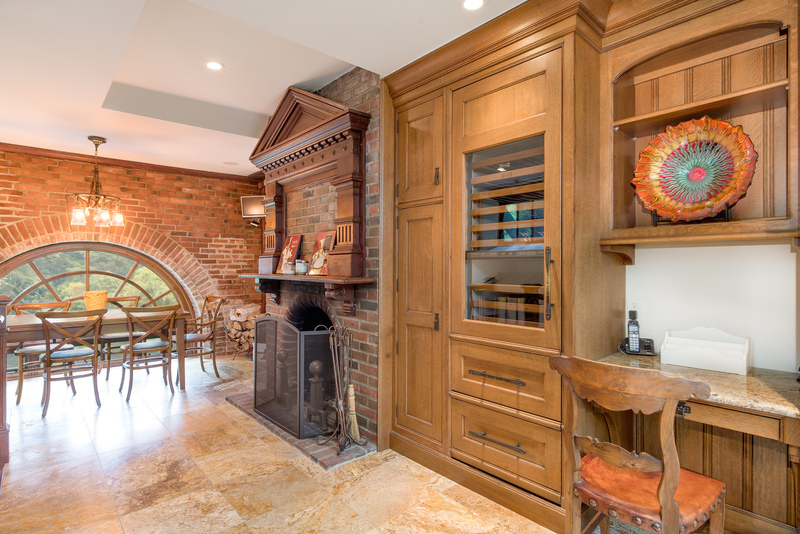 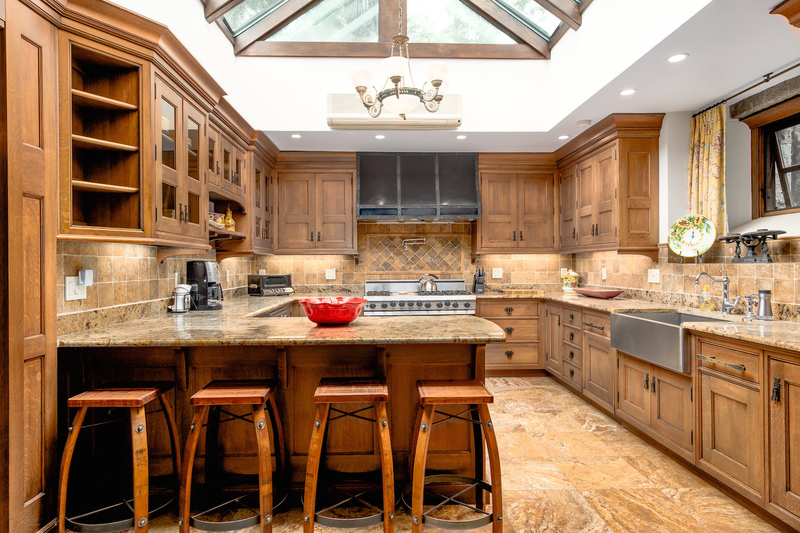 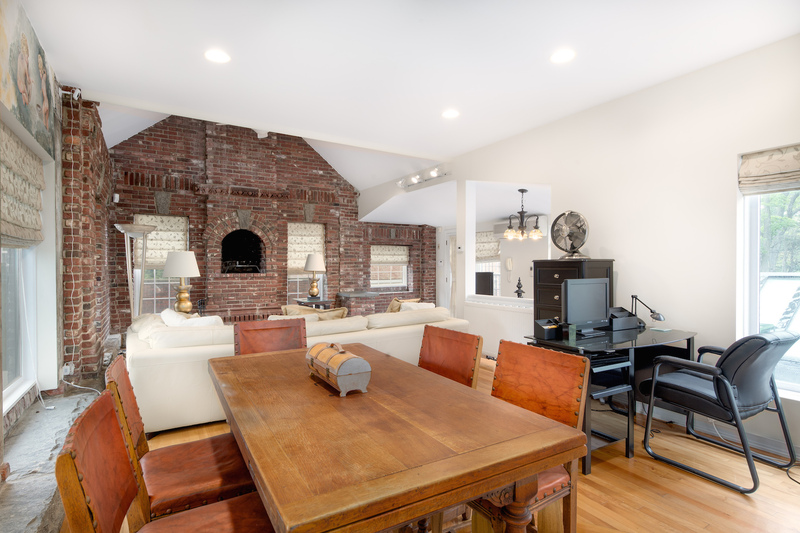 The kitchen was designed to provide for a chef’s dream work space, with an eating area and fireplace that overlook the front gardens as well as inside through to the first floor great room, foyer and the other second floor rooms. 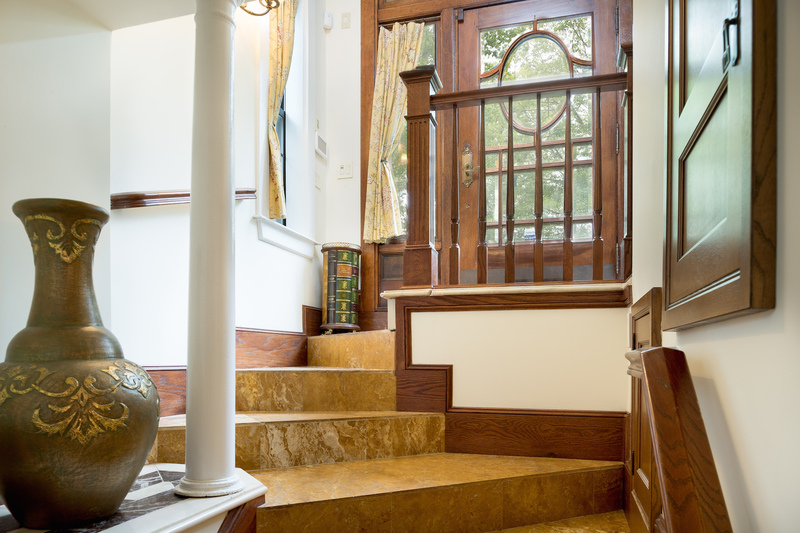 This home incorporated an ‘open floor design’ before it became a design term. 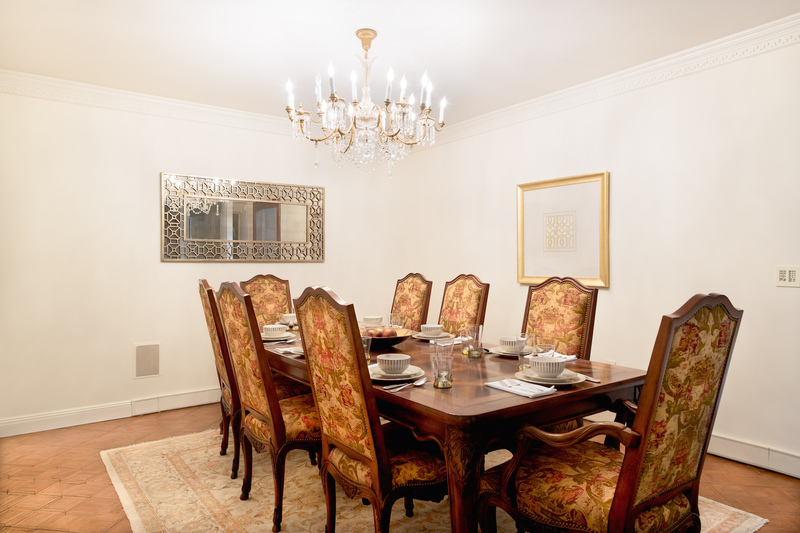 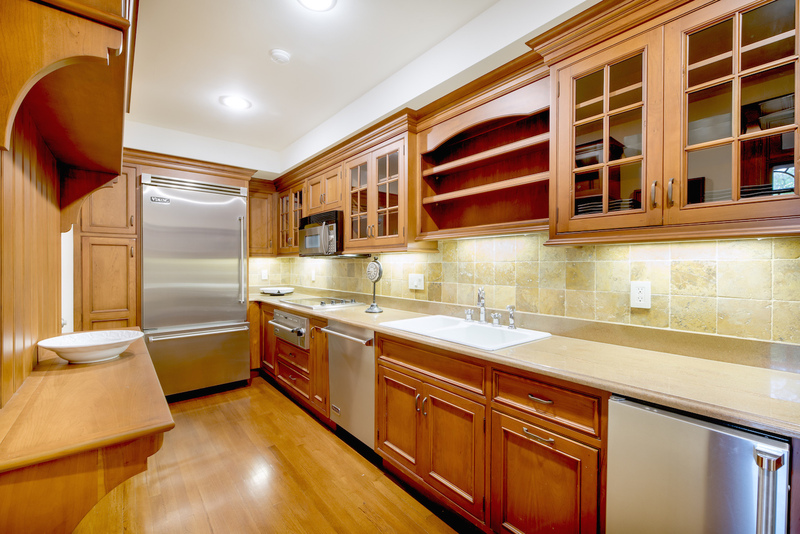 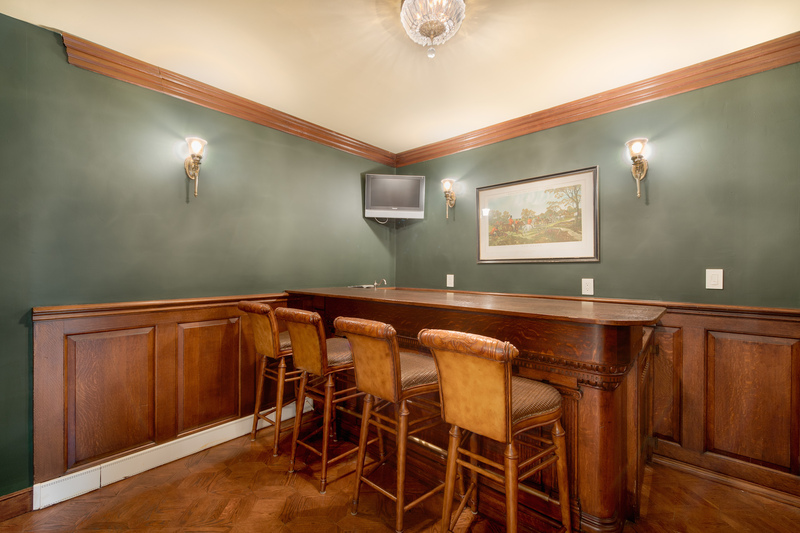 The first floor service kitchen and bar is a fabulous asset for small gatherings or grand functions. 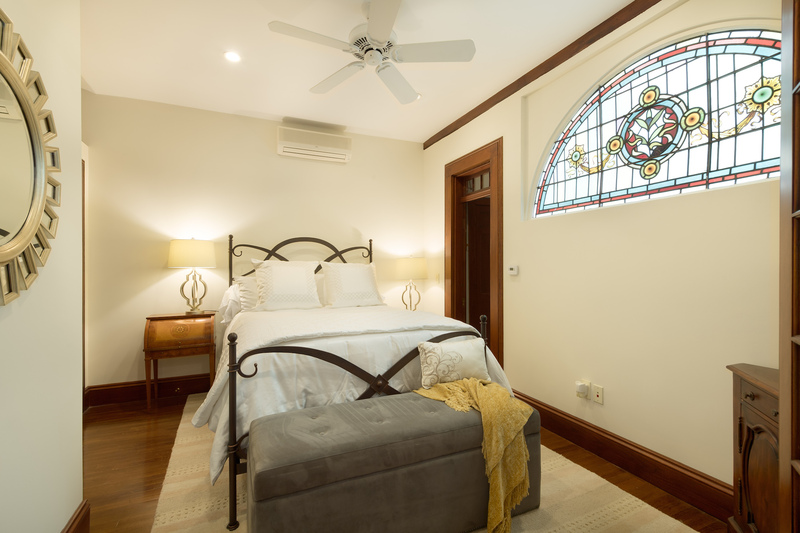 This residence offers four bedrooms; one ensuite on the first floor and the master and two more bedrooms on the second floor. 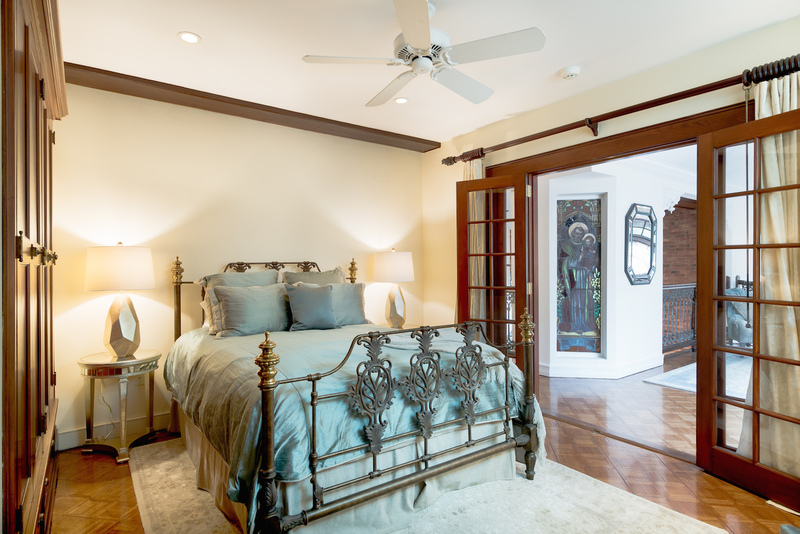 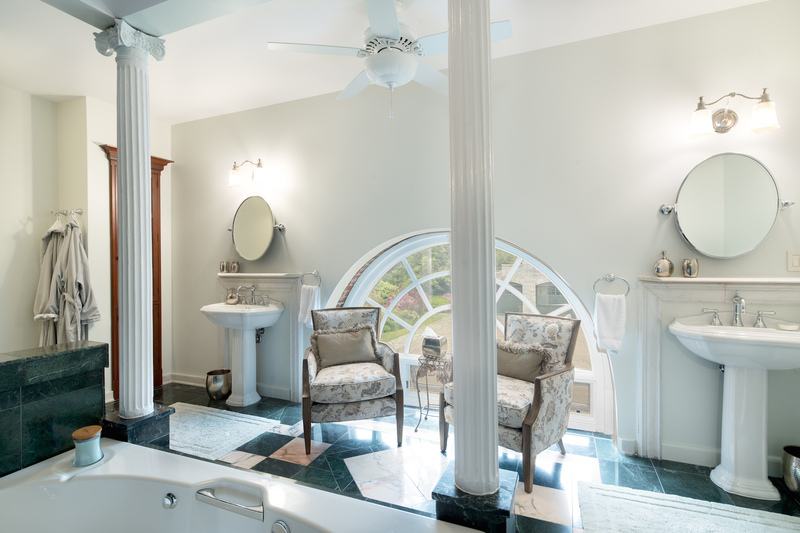 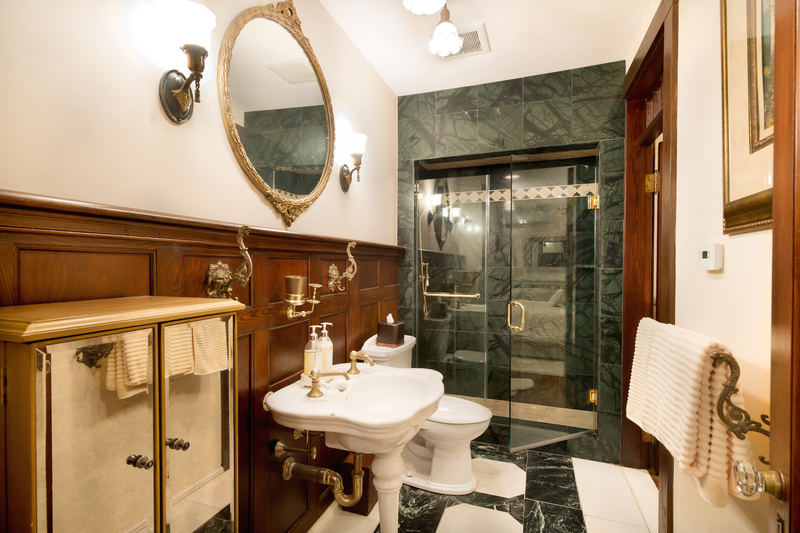 The romantic master bedroom and bath, with fireplace overlook the gardens through magical palladium windows and offers all the modern conveniences. 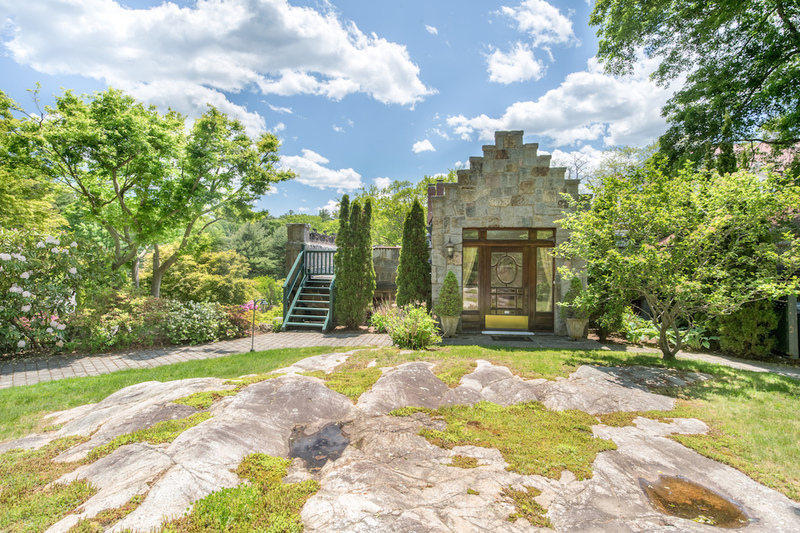 The third floor rises up to offer a one-of-a kind home office with fireplace, windows on all sides and doors that lead out to the roof top deck and look out over the one acre plus, estate. 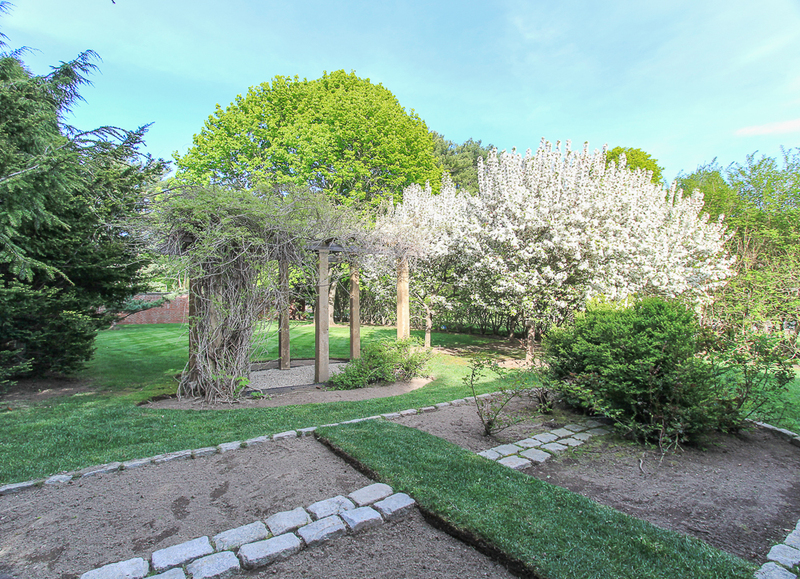 The home comes with deeded access to West Beach in Beverly Farms and has easy access to Route 128 and commuter rail stations.